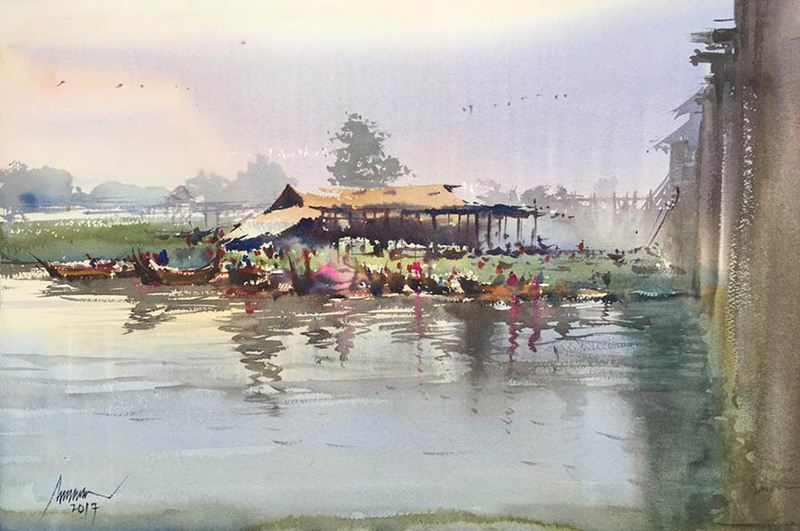 YANGON — Pantanaw is a small rice-growing township in Irrawaddy Division, but it is significant in Myanmar’s history for turning out two prominent figures worldwide. 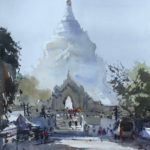 U Thant (1909-1974), the third Secretary General of United Nations, and the only person from Myanmar to hold this position thus far, was born in this town. 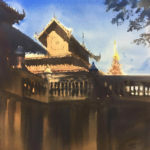 It was also the hometown of artist U Ba Nyan (1897-1945)—the first art student from Myanmar during the colonial era to learn in the Royal College of Art in London and the Yellow Door Fine Arts School. He played a key role in introducing Western techniques to Myanmar artists and is seen as an influential figure in the country’s art history. Born in 1991 in the same township, Aung Htet Lwin grew up listening to the life stories of these two great men, and was deeply inspired by them. But later, it became clear that it was U Ba Nyan who had inspired him most. 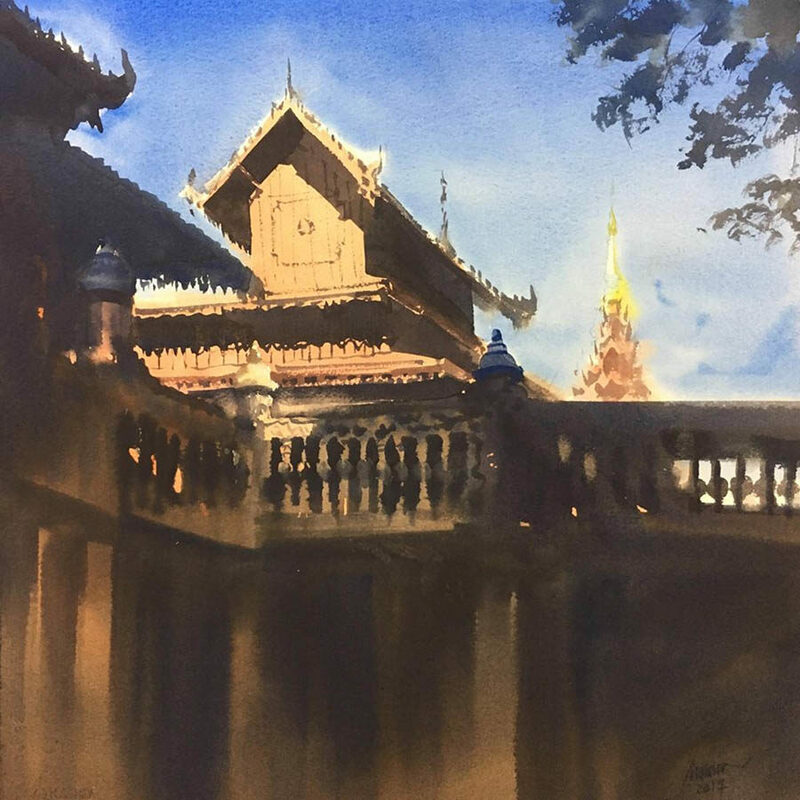 While he was working at a media company, Aung Htet Lwin took leave to exhibit his first solo art exhibition in Thailand in a rush in 2015. At that time, he was just 24. After this exhibition, his dream had become clearer, and then he quit his job to become a full-time artist. 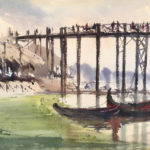 He has made his name as a landscape artist, immensely captivated by the scenes of the towns he saw across the country as he accompanied his civil-servant legal officer mother as she was transferred from place to place. 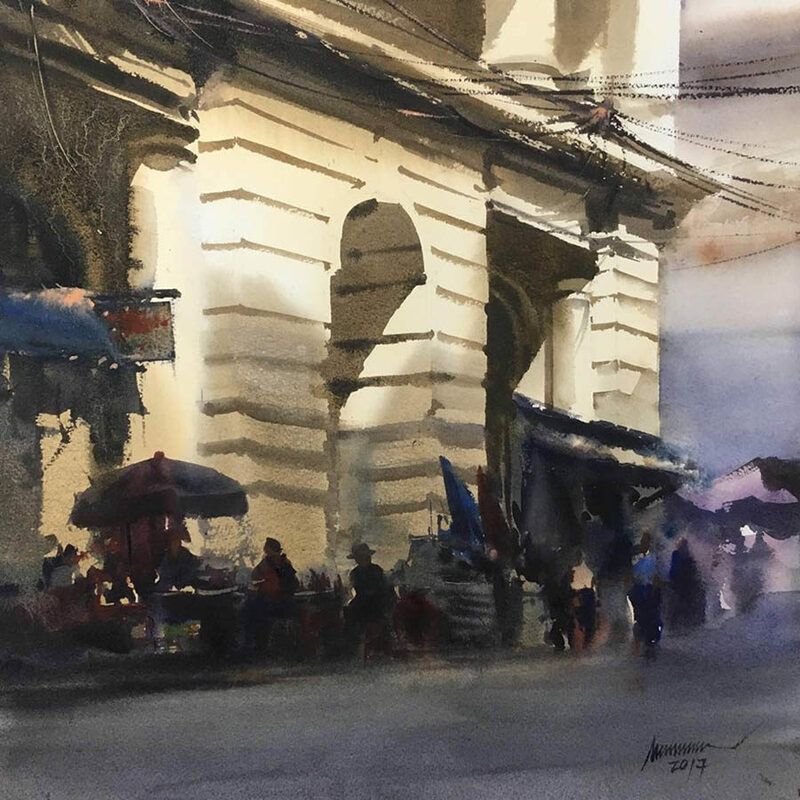 Later, he found his artistic inspiration in the urban cityscapes of Yangon, leading to his second solo show, “Yangon Essay,” at Lokanat Art Gallery in the historic capital in 2016. 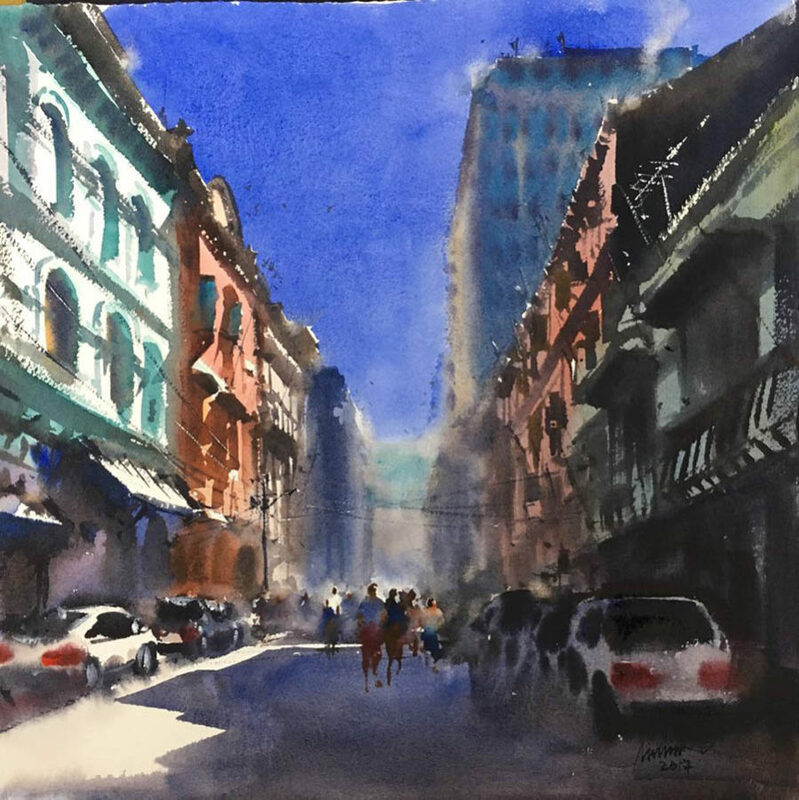 “As I went around Yangon, I was fascinated by its landscapes and gradually fell in love with them,” said Aung Htet Lwin, who is now 26 years old. 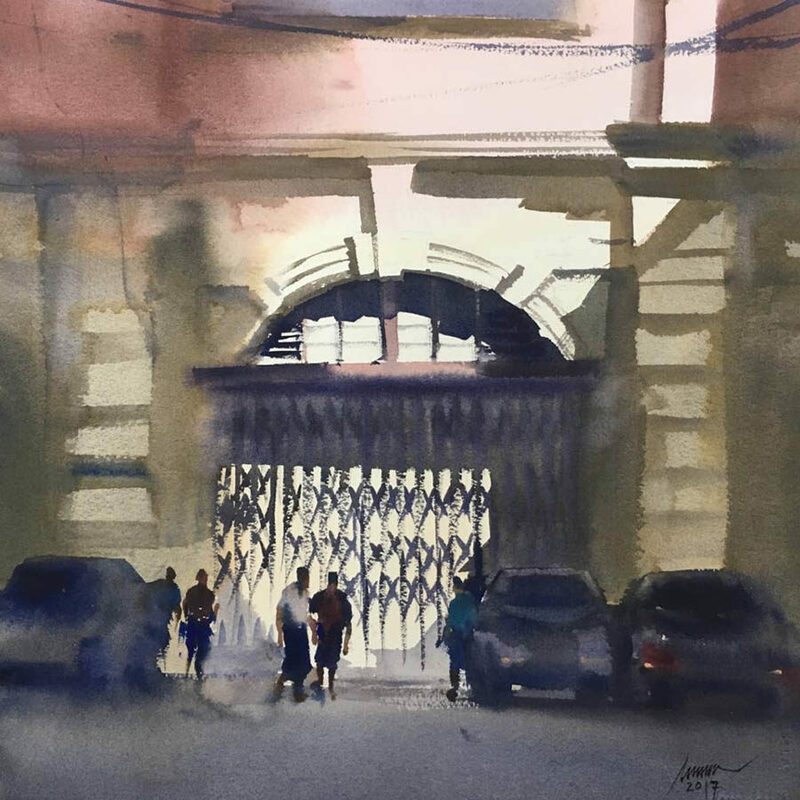 His third solo exhibition, “Illumination 31,” showcased in Yangon earlier this year. 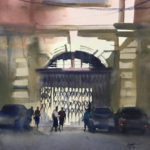 He graduated from the National University of Arts and Culture, and the painting he created for graduation depicted the High Court in Yangon. 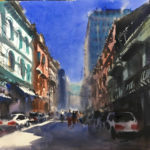 He presented a thesis analyzing paintings by urban artists in order to get his post-graduate art diploma from the same university. 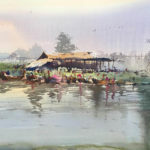 For his fourth solo show, Aung Htet Lwin drew outdoors in Yangon, and also stayed in Mandalay for one month to do the same. Entitled “Two Hearts of Myanmar,” the exhibition will take place at Cloud 31 Art Gallery on 31st Street in Yangon’s Pabedan Township from July 23-27. The exhibition will feature 29 watercolor paintings depicting the landscapes, ancient buildings, and pagodas of Yangon and Mandalay, and are priced between US$100 and $300. 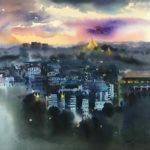 There will also be landscape paintings of Sagaing and Mingun at the exhibition, he said. 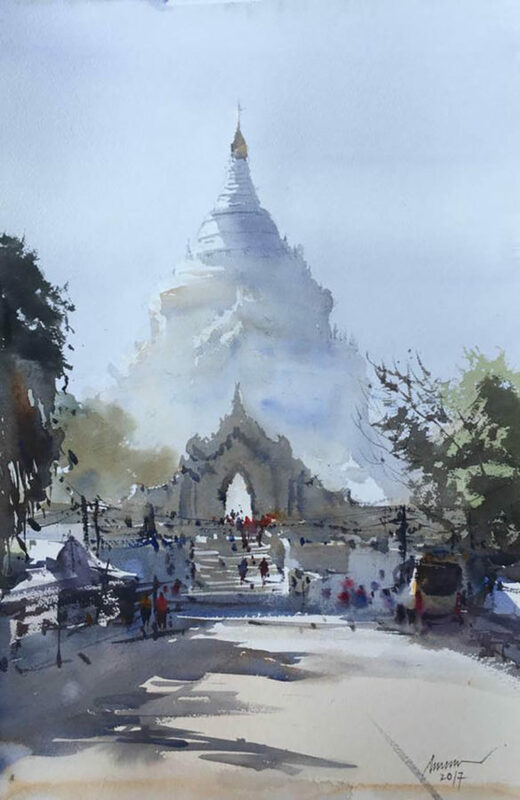 “I’m more than satisfied with drawing Mya Thein Tan Pagoda,” said Aung Htet Lwin, referring to a famous Sagaing structure built in 1816 by King Bagyidaw. 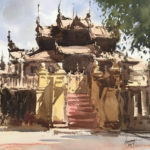 “I almost forgot everything else as the pagoda engrossed me,” he said. 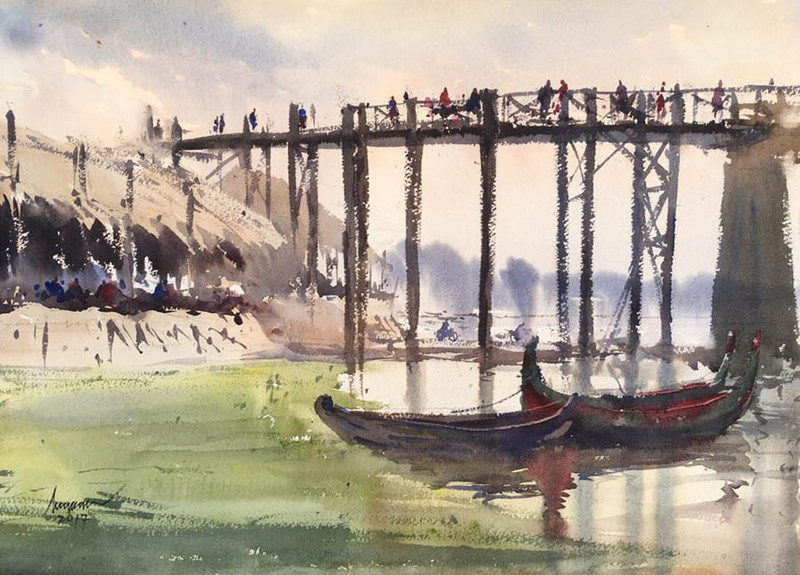 Aung Htet Lwin attributed his career thus far to two things: his admiration for U Ba Nyan, and the first prize award that his work won at his graduation from the National University of Arts and Culture.